The advocate who works with this program is a Spanish / English victim advocate who assists Spanish-speaking crime victims in locating the assistance they need. She helps victims to understand the structure and limitations of the justice system by providing court support and accompaniment. The advocate also helps victims file for compensation from the Tennessee Criminal Injuries Compensation Fund, if they are eligible, and assists them in obtaining concrete social services. 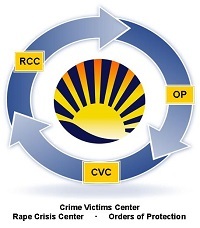 The Bilingual Victim Advocate Program is an example of the Crime Victims Center's commitment to providing comprehensive services to all Shelby County residents. To get more information, call (901) 222-3950.